Terms and Conditions of Our AuctionsBy registering for our auction, you agree to the terms and conditions as stated below.Conditions: Carolina Auction House strives to accurately describe the items being sold, but all property offered for sale is strictly "as-is" "where-is" with all faults. All sales are final and no refunds are given. The sales records and recordings shall be conclusive. It is the bidder's responsibility to determine the exact condition and authenticity of each item. No statement in this catalogue or by representatives of Carolina Auction House shall be considered as a warranty or assumption of liability. Oral and written descriptions given by Carolina Auction House staff members in person or electronically are given as a courtesy to a client, are only an opinion, and should not be considered as a guarantee of age, composition, or authenticity. The absence of a condition statement does not imply that the lot is in perfect condition or completely free from wear and tear or imperfections. By bidding, you signify that you have either closely examined the items, have chosen not to examine them, or have hired an independent agent to examine the item(s) for you. Condition reports are available via the online catalog or by contacting The Auction House.Firm Information: Carolina Auction House, NCAFL#9833. The auctioneer reserves the right to withdraw a lot for any reason he deems appropriate, including any lots that may have a reserve, or if there is a lack of bidding interest or lack of appropriate bids. Carolina Auction House shall always have the right to withdraw any item at any time for any reason and to default any sale in the event of an error or dispute.Terms: Sales are subject to the following terms and conditions of sale: Bidding is available by live in-house bidding, internet pre-bidding, absentee, and telephone. There is a 10% buyer's premium for in-house bidding. Internet & absentee pre-bidding is available through HiBid.com with a 15% buyer's premium. Payment is due at the end of the auction by cash, certified funds, wire transfer, approved check, and credit card. North Carolina in-state sales tax is 6.75%.Online Bids: Internet bidding is available up to one hour before the auction, unless otherwise specified. 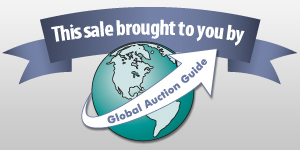 Pre bids on the internet will be executed on your behalf during the auction by Carolina Auction Houses on-site Staff. However, Carolina Auction House cannot be held liable for internet bids that are not sent, received, or executed by the administrator. If you are pre-bidding online, please bid appropriately. Once online bidding closes, you will not be able to increase or decrease your bid(s). Internet pre-bidding is available through HiBid.com with a 15% buyer's premium. Payment in full for online bids is due within 5 days of the auction. All invoices totaling $1,000 or more must be paid with check or certified funds.Absentee and Telephone Bids: Arrangements for absentee and phone bidding can be made by completing and submitting the Absentee Bid Form by 5:00 P.M. the day prior to sale day. This form is available in the gallery as well as via email by contacting the Auction House at info@carolinaauctionhouse.com, or by phone at 1-336-AUCTION. Phone reservation contact numbers cannot be changed after 5:00 P.M. the day prior to the sale. All bids must be secured with a credit card number (Visa/MC). All absentee bids will be executed in a fair, competitive and confidential manner. While every effort is made to execute and honor absentee and phone bids, Carolina Auction House is not responsible for failure to execute a bid and is not liable for any losses incurred as a result of failure to execute absentee bids or failed phone reservations. In case of identical bids, the first bid received will take precedence. Where appropriate, written bids will be rounded down to the nearest amount consistent with the auctioneer's bidding increments. NOTE: It is the bidder's responsibility to accurately record Lot Number and Bid Amount or Telephone number on any absentee or On-Line bid form. Carolina Auction House assumes no responsibility or liability in the event a bidder fails to do so. Leaving an absentee or telephone bid indicates the bidder is willing to open the bid at one half the low estimate of the lot. Bids cannot be submitted, altered, or cancelled via voicemail. Absentee and phone bids are available with a 15% buyer's premium. Absentee and phone bid payments are due within 5 days of the auction. If no payment is made, credit card used to secure bid is used as payment.Estimated Weights and Measurements: Weights in catalogue description have been estimated through measurement and are to be used as approximate guidelines and not relied on as exact. Unless otherwise stated, all stones have been measured and graded in their settings. Metal weight given for jewelry items with stones is inclusive of stone weight. Buyers are reminded that many colored gemstones have historically been treated to enhance their appearance. Clocks and Watches: No representation or warranty that any clock or watch is in working order is given. There is no guarantee to works or movements. Payment: All items purchased in person must be paid for on sale day. All items purchased via absentee or phone bid must be paid for within 48 hours. If a buyer fails to contact Carolina Auction House within three business days following the sale, the credit card used to secure the bid will be charged the amount of the invoice. For items purchased through internet bidding, Carolina Auction House will contact and send an invoice to all winning bidders via e-mail at the completion of the auction. Payment in full for online bids is due within 48 hours of the auction. All invoices must be paid by means of cash, check, Visa, MasterCard, or certified funds to:Carolina Auction HouseIf paying by check, Carolina Auction House reserves the right to hold the item(s) until the check has cleared. International bidders will be required to pay by wire transfer unless prior arrangements have been made. At the auctioneer's discretion, certain lots will be required to be paid for by wire transfer. Tax ID # MUST BE PRESENTED UPON REGISTRATION TO AVOID BEING CHARGED SALES TAX! !Ownership: Ownership of an item is conveyed immediately following the final bid placed. While Carolina Auction House tries to handle and store all items with great care, Carolina Auction House will have no liability for any loss or damage to an item after the final bid has been placed.Loading: Loading purchased items is the responsibility of the buyer. Carolina Auction House will, as a courtesy, assist with the loading following the sale, but this is done at the risk and responsibility of the buyer. Arrangements for pick-up for buyers who wish to supply their own labor can be scheduled during gallery business hours. Carolina Auction House will have no liability for any damage while providing loading assistance.Storage: Unless prior arrangements are made, pick-up within 72 hours of the auction is required, or a $10.00 per lot/per day storage fee will be charged.Abandoned Property: Any lot(s) remaining with Carolina Auction House more than 30 calendar days after the auction purchase date will be considered abandoned and will be resold at auction to off-set the storage fees. Carolina Auction House is not obligated to notify the winning bidder that the abandoned lot(s) will be resold at auction.Packing and Shipping: Carolina Auction House does not ship. All items shipped will require a 3rd party shipping service at the buyer's responsibility. All shipping and pickups are by appointment only. Contact info@carolinaauctionhouse.com, or call us at 1-336-AUCTION to arrange an appointment for shipping. Announcement:Information contained herein is presented on behalf of the seller. Carolina Auction House, LLC, agent for the seller, cannot guarantee the information to be correct or assume the liabilities for errors and omissions. All lines drawn on maps are approximate. Buyers should verify the information to their own satisfaction. Any announcements made from the auction block on day of auction will take precedence over any matter of print and will be final.